A Bognor plasterer has said he was ‘heartbroken’ after thieves broke into his van and stole his five-year-old son’s iPad. 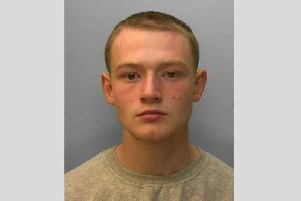 Alex Millar, 24, from Westloats Lane, woke up on Monday, January 28, to find his work van had been broken into outside his home. After gaining access to the van, thieves proceeded to steal an iPad mini in a Peppa Pig case. The iPad belonged to Alex’s son, five-year-old Oscar Millar, who had been learning and playing games on the secondhand tablet after he was given it for Christmas only weeks before. Alex called the actions of the thieves ‘disgusting’ and said Oscar used the iPad every day. While Alex said his tools were left, the thieves also took his tax returns which he had in the van. Alex said: “He was devastated when we told him — he understands it. When we told Oscar what had happened, he asked ‘why would the nasty man do that to me’. “You should be able to leave your stuff in your own property. After posting about the incident on social media, Alex received numerous messages from friends and family and a JustGiving page was set up to raise money for Alex to buy Oscar a new iPad. The post, which was shared nearly 100 times, also grabbed the attention of a plumber from Portsmouth who Alex had worked with once before. The plumber messaged Alex and offered his iPad.